1. Normally I tend to save the best till last but I literally can not wait to write about it. Its’ amaaaaaaazin. I have came across some damn good spot fighting products in my time but nothing as fast and effective as this little baby. I bring to you all, the Mario Badescu Drying Lotion £12.50. There is literally no words to describe this little bottle of pinkness. This is the bazooka of spot treatments and with a simple dap of a cotton swab, leave it on overnight and it will be near enough gone by morning. This also helps fight any bacteria around the spot which leaves a little bit of a sting, but trust me, the sting is worth it. I have never used anything before that beats this product and I’m literally on my 3rd bottle of it. Containing salicylic acid which is one of my favourites, it helps reduce the appearance, fight the bacteria and stop them coming back. Absolute life saviour for those dinner date, job interview, important meeting spot situations. 2. Next up is an old favourite of mine, the La Roche Posay Effacer Duo £15.50. I’ve being using this product for a number of years now and I like to think of this as a ‘preventer’. In honest opinions it doesn’t give instant results, but if you have an area that’s spot prone, this is the perfect daily treatment to stop spots coming back. I tend to use this with my moisturiser around my chin area as that’s where I get the most of my blemishes and it really does work. 3. Another product that is on my first aid skincare list is the Weleda Purifying Lotion £9.95. This is kinda like a treatment toner that helps balance out the natural bacteria and oils in your skin. They like to think of it as a harmonising lotion, keeping things calm and spot-free. I use a cotton pad to evenly wipe this across my face as my second toner on an evening, around 3 times a week/every other day. It really works on keeping my redness down on my cheeks. If you suffer from redness or rosacea this is the one for you. 4. 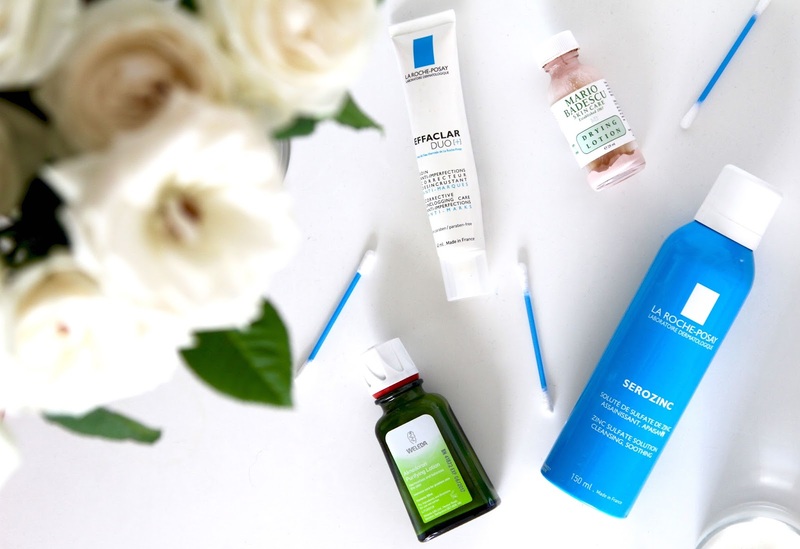 Finally in terms of products, I can’t miss out the La Roche Posay Serozinc £8.50. This is absolutely loved by anyone skincare obsessed and for good reason. With a simple spray across the face it helps fight blemish prone skin with the use of zinc sulphate, soothing and calming with it’s cool application. It reminds me of a hyped up version of an aqua spray you use when your on holiday. I tend to use this mid-day when I’ve came home from work or uni to give me a little refresh especially on hot summers days (if we actually had any here in Middlesbrough). 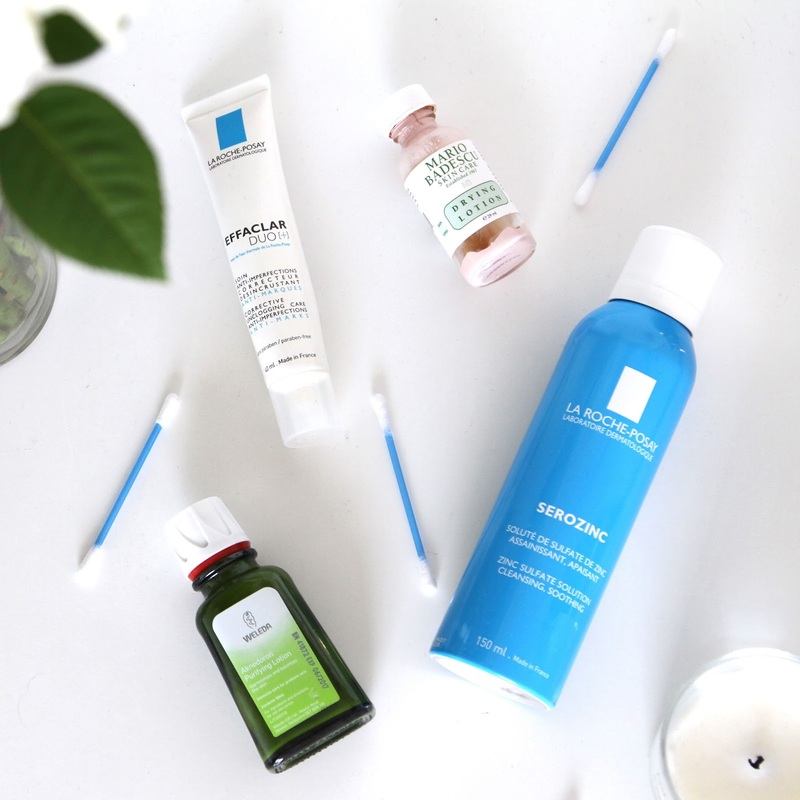 What are your blemish beating products? I’d love to know!